My boys had their first swim of the year in our fairly new pond. It finally filled up thanks to all the rain we've had this spring. Water is still cool, but not blue lips cold. 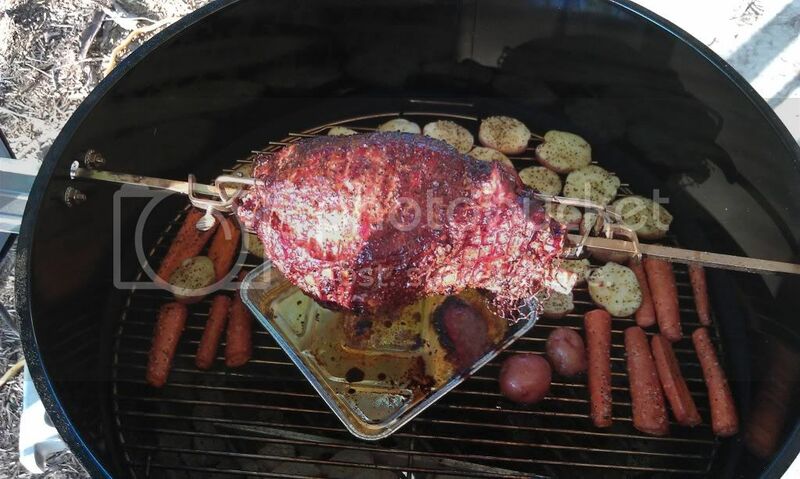 I popped a small 5.38lb Rib Roast on the rotisserie for my wife and two boys. I forgot I had this attachment. First time using it. 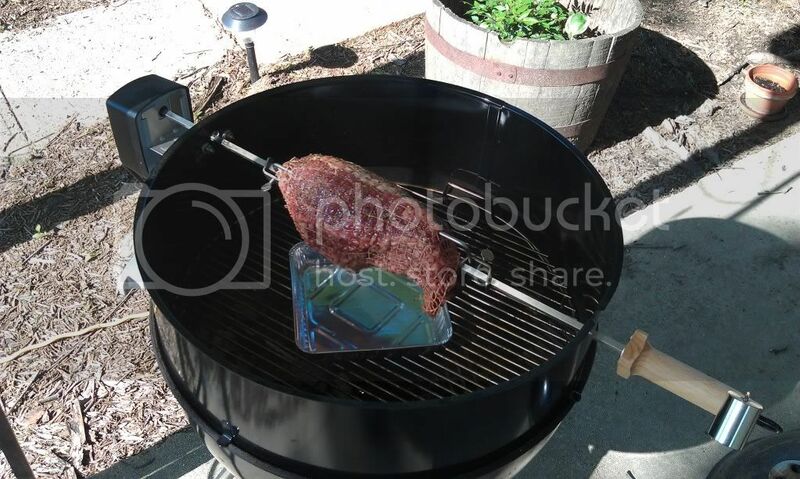 Works great and I highly recommend it for anyone that has the 22.5" Weber kettle grill. 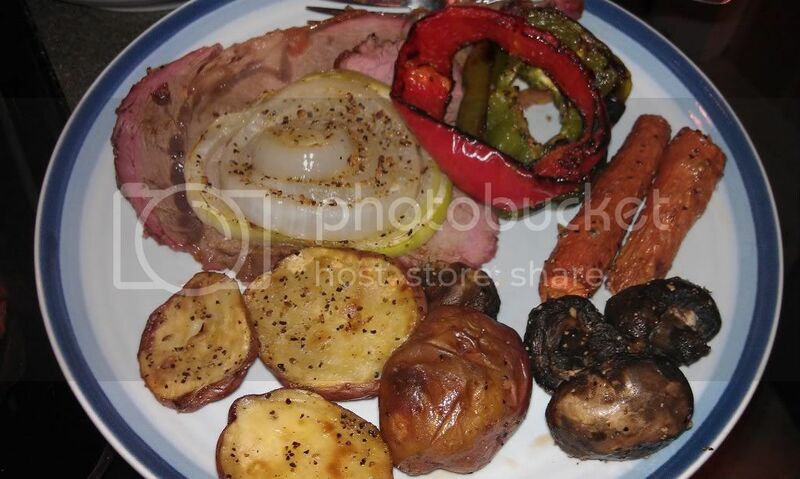 Slow roasted some red skin potatos carrots, mushrooms, vidalia onion, red and green bell peppers with a drizzle of olive oil and a steak seasoning mix. Be nice to Honda riders, they will inevitably be your ride home!!! Now that's what I am talking about, looks good. Can I come over next year? We did burgers and steak brats on the weber, finished up with a birthday cake for the dog, Shena turns 14 on Tuesday. A awesome feat for a Doberman and she still makes the trip up the stairs to the computer room at least 4 times a day with me. 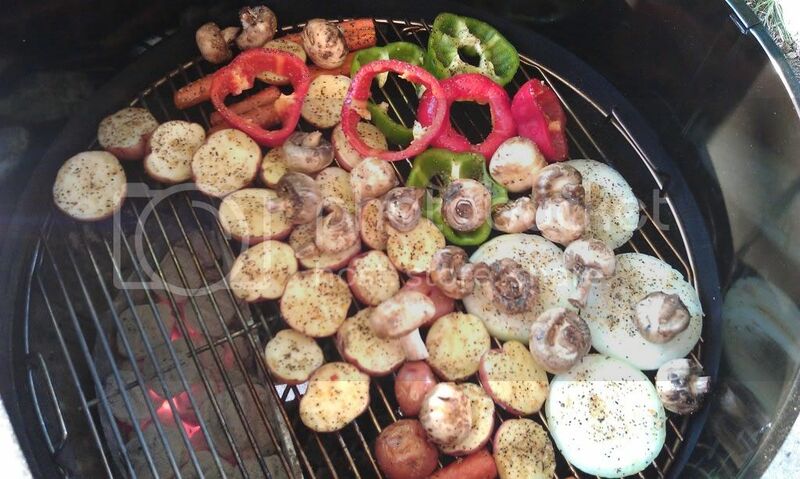 Looks like some serious eats!